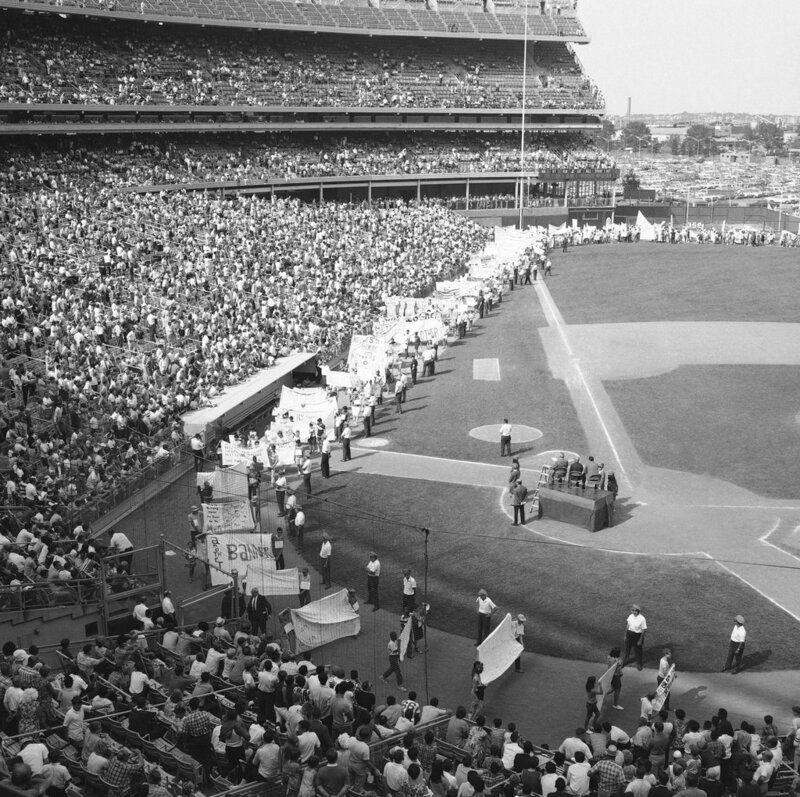 Sunday September 15th 1963: As the New York Mets started gathering a fan base, they began to come up with unique ideas to root on their team. The early Mets were not a good ball club but the fans still loved them. Many fans were old New York Giants & Brooklyn Dodger fans. Others were a new breed of Young New Yorkers getting ready to let loose in the swinging sixties. 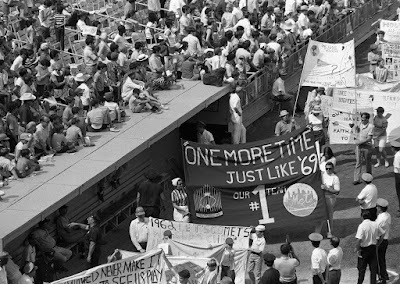 One of the Mets fans popular things to do was to express them selves with banners. Plaquards as Manger Casey Stengel called them, would soon be seen all around the Polo Grounds. But Mets President George Weiss banned the banners at the games, claiming they were blocking the view for other fans sitting in their seats. The drama began as Mets fans blasted the team for taking away their banners. The negative press didn't sit well for a bad ball club just starting out in the largest city in the world. The solution was to have a Banner Day, a parade of banners would be allowed on the field in between a Sunday double header. 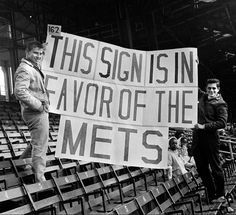 On September 15th 1963 at the Polo Grounds, the Mets held their first banner day in between a twin bill loss to the Houston Colt 45's. The winning banner read "This sign is in Favor of the Mets"! 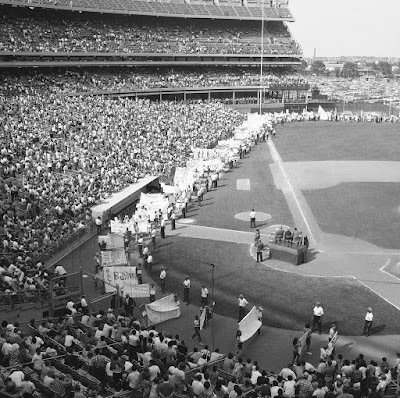 Banner Day was one of the most popular Mets promotional days through the sixties at the new Shea Stadium & right on through the seventies, eighties & mid nineties. In 1996 the last banner day was held at Shea Stadium. Banner Day took a long hiatus, not returning until 2012 at Citi Field due to popular demand. Banner Day is Alive & well at Citi!